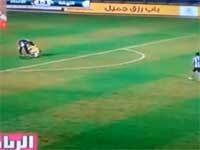 Soccer player shows great deal of sportsmanship out on the field. 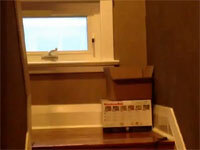 Submitted by monkey on Wed, 12/18/2013 - 12:08am. Awesome and funny Eminem Rap God parody called "Fat Slob". Submitted by monkey on Wed, 12/18/2013 - 12:02am. 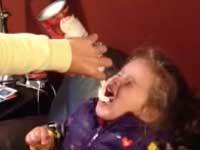 Parents have their daughter try whipped cream for the first time. Submitted by monkey on Wed, 12/18/2013 - 12:00am. Boot camp guy trying to scare a kid in the right path feels bad after. Submitted by monkey on Fri, 10/11/2013 - 10:47am. This the only thing that will get the dog out of bed. Submitted by monkey on Fri, 10/11/2013 - 10:42am. Guy goes around tipping servers $200, see their reactions. Submitted by monkey on Fri, 10/11/2013 - 10:38am. Guy scares the crap out of his easy going boss. Submitted by monkey on Thu, 10/10/2013 - 7:26pm. 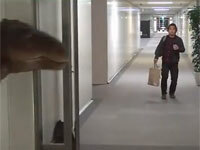 Hilarious Japanese dinosaur prank gets a guy good. Submitted by monkey on Tue, 08/27/2013 - 1:21am. One of the greatest NFL comebacks ever being called by the home team announcer. Submitted by monkey on Tue, 08/27/2013 - 1:18am. 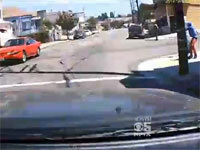 Shocking shooting takes place in Oakland and a teenager just casually walks by. Submitted by monkey on Tue, 08/27/2013 - 1:14am.